This is the first systematic study of language conflict in a developing society and of its consequences for the integrational processes of nation building. 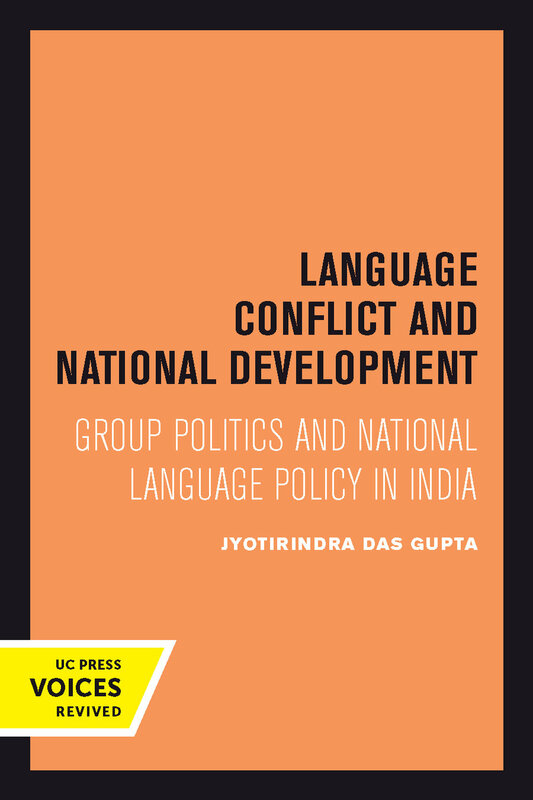 Jyotirindra Das Gupta maintains that language rivalry does not necessarily impede national integration, but can actually contribute to the development of a national community. He explains that the existence of a multiplicity of language groups in a segmented society is not, in itself, indicative of the prospects for successful integration. Only when language groups mobilize into political interest groups is it possible to determine the pattern of intergroup conflict likely to emerge. The way in which this conflict is handled and resolved depends upon the general political atmosphere and upon the type of institutions available for decision making. In the specific case of India, the author finds that because the Indian government has proved capable of meeting the demands of diverse language interests, it is supported by the Indian population as a whole for its role in mediating language rivalries. This book therefore offers evidence for the efficacy of democratic procedures for political development and integration. In the course of his analysis, Das Gupta discusses the impact of Indian language associations on national politics and on the political community in general; the formulation and implementation of a national language policy; and the language policies of nationalist and of separatist groups both before and since Independence. In order to place the Indian experience in a wider context he provides comparative empirical data from other countries. This title is part of UC Press's Voices Revived program, which commemorates University of California Press’s mission to seek out and cultivate the brightest minds and give them voice, reach, and impact. Drawing on a backlist dating to 1893, Voices Revived makes high-quality, peer-reviewed scholarship accessible once again using print-on-demand technology. This title was originally published in 1970. Jyotirindra Das Gupta is Professor Emeritus, Political Science, at the Institute for South Asia Studies at the University of California, Berkeley.